Cat Paw - "The Friendly Yet Feisty Toy!" Cat Paws move from friendly to fiesty in no time! With the slow pull of an activation lever the cat paw will move forward with a friendly cat sound; push it quickly and the cat paw lunges forward with a roar! Creep out co-workers, amuse cat lovers and stupefy cats themselves with the amazing, bizarre, wonderful and super fun Cat Paw! 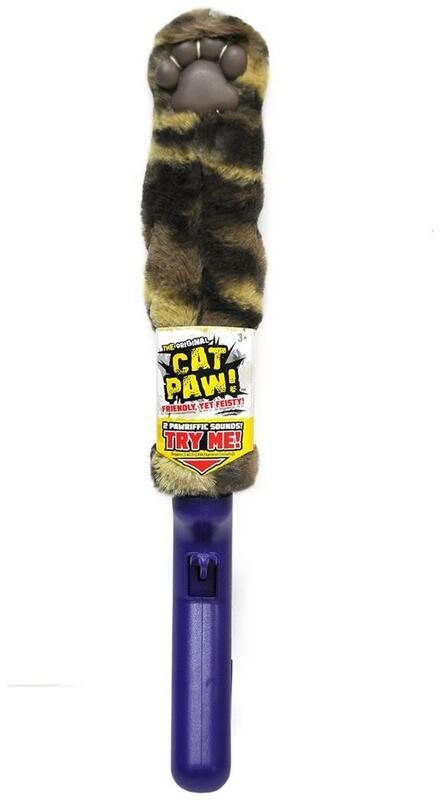 It's Cat Paw - "The Friendly Yet Feisty Toy!" With the slow pull of an activation lever the cat paw will move forward with a friendly cat sound; push it quickly and the cat paw lunges forward with a roar! Each Cat Paw includes 2 fun cat sounds. Four furry styles to choose from! Creep out co-workers, amuse cat lovers and stupefy cats themselves!